A Covent Garden Gilflurt's Guide to Life: Marengo ~ Myth or Nineteenth Century Rip-Off? Marengo ~ Myth or Nineteenth Century Rip-Off? It's a pleasure to welcome back Heather King, who is here to share the tale of Marengo, Napoleon's favourite horse... or was he? THE STORY OF MARENGO, NAPOLEON'S FAVOURITE HORSE ~ Or Was He? Having written about Copenhagen, the mount of the ‘Iron Duke’ of Wellington, it seemed only fair also to tell the story of Marengo, favourite battle horse of the Emperor of France. He was another courageous horse; perhaps in some ways more so than Copenhagen, for it would appear from accounts of the time that Napoleon was not in the same league as His Grace when it came to horsemanship. The story has been told for almost two hundred years, yet could it be that the legend is a mere myth? My thanks once again to Madame for so generously inviting me back to the salon. On the eve of the Battle of Quatre Bras, before my post about Copenhagen, the mount of the ‘Iron Duke’ of Wellington, it seemed only fair to tell the story of Marengo, favourite battle horse of the Emperor of France. He was another courageous horse; perhaps in some ways more so than Copenhagen, for it would appear from accounts of the time that Napoleon was not in the same league as His Grace when it came to horsemanship. The story has been told for almost two hundred years, yet could it be that the legend is a mere myth? Although standing a mere 14.1 hands (a hand is four inches, measured from the ground to the withers, at the base of the horse’s neck where it joins the back), Marengo was an Arab stallion, a breed renowned for courage, endurance and fire, the latter yet tempered with a calm, steady nature in most individuals. Marengo was imported from Egypt in 1799, after the Battle of Aboukir, when he was aged about six. He may well have been bred at the celebrated El Naseri stud. He carried Napoleon safely through the Battle of Marengo despite a cannon shot severing part of the Emperor’s left boot and wounding him in the foot. Napoleon was so impressed with his new charger’s prowess in the thick of battle, he named him after that successful conflict. Napoleon’s success as a general had much to do with his skilful deployment of his cavalry, so it should come as little surprise to the reader that his chargers were always superb Arab or Barb horses. Mostly cream or grey, they were specifically trained for their role at the Imperial Stud in St. Cloud. They had to remain calm but ready for action on the battlefield and move with a smooth, even pace for the Emperor’s comfort on long-distance marches. Marengo was no exception, although there is some debate over whether he was ‘white’ (light grey to horsemen) or a darker hue. In the famous painting of Napoleon Crossing the Alps, by Jacques-Louis David, a study which is considered an accurate portrayal, the horse is clearly a dapple-grey, with dark legs, whereas in the equally celebrated portrait by James Ward, painted in 1824, he is far lighter. Of course, both may be correct. Grey horses lighten in colour as they age and Marengo was about thirty-one years old at the time Ward took his likeness. To be Napoleon’s horse was to be honoured, well housed and fed, but a risky position nevertheless. According to popular belief, the Emperor had eighteen chargers killed whilst riding them in battle. In spite of his lack of stature and reportedly being wounded eight times during the course of his military career, however, Marengo survived the jinx to become the horse most closely associated with the ‘little Corsican’. He carried his master at the conflicts at Austerlitz, Jena and Wagram, and also was often required to travel the eighty miles from Valladolid to Burgos, a distance he frequently covered in only five hours. He was one of fifty-two horses in the Emperor’s personal stables, which was raided by the Russians in 1812, forcing the entire stud to flee. Napoleon arrived in Moscow in September of that year to find the city in flames. It was a disastrous expedition, resulting in a retreat through the harshest of winter conditions. While he came through the three thousand mile journey to the Russian capital and back unscathed, it is purported that the nineteen-year-old Marengo stumbled or slipped on the frozen ground, unseating Napoleon on to his imperial behind. This was considered an ill-omen by those of a superstitious nature, since during the withdrawal thousands of the Grande Armée died of starvation and exposure. When Napoleon was exiled to the Isle of Elba, it seems that Marengo was not chosen to travel with his master, but stayed at the Imperial Stables, his routine unaffected, awaiting the Emperor’s return. By the time Napoleon escaped his incarceration and arrived at Waterloo, Marengo had therefore attained the grand old age of twenty-two. He was stabled at La Ferme du Caillou, along with Marie and Désirée, the other war horses belonging to the French General, and was the Emperor’s mount during the early stages of the conflict. One source suggests he sustained a slight injury to his left hip, this being his eighth wound in combat, as mentioned above. Accordingly, Napoleon was riding Marie when, late on in proceedings, he was forced to flee from the Allied cavalry. The mare being tired, he had, of necessity, to stop at La Ferme du Caillou for another horse. Since Marengo was apparently not saddled (which seems likely if he were injured) and the Emperor had only seconds, he took the first available mount and galloped on to Charleroi. Here he changed to a carriage and travelled non-stop for three days to reach Paris. Discovered in the stables, Marengo was brought back to Britain by Lord William Henry Francis Petre and later sold to Lieutenant-Colonel (afterwards General) John Julius Angerstein, a member of the Grenadier Guards, for the purpose of breeding racehorses. He retired to stud at New Barnes near Ely, being advertised for a ten guineas fee as late in his career as 1820, even though he was by then twenty-seven. As a sire he proved of little worth, although when proclaimed ‘Bonaparte’s Personal Charger’, he drew huge crowds to London’s Pall Mall in 1823, many coming from far afield to marvel at the little stallion with the brand of the Imperial Stud – a letter ‘N’ surmounted by a crown – on his left flank and a bullet embedded in his tail. Contemporary reports conflict – as they do with the Duke of Wellington’s Copenhagen – as to whether Marengo was the personification of Arabian beauty and elegance, or whether he was actually bad-tempered and of poor conformation. We shall never know, but he died in 1831, having reached a venerable thirty-eight years. His skeleton was given to the Royal United Services Institute before later moving to Chelsea in London, where it is a prize exhibit in the enormous Waterloo Gallery at the National Army Museum. One hoof was made into a snuff box and was presented to his fellow officers in the Brigade of Guards by General Angerstein. It has occupied a position of honour at St. James’ Palace since then, on a highly polished sideboard in the Officers’ Mess. Another hoof, raised on a silver base and with a silver inkwell fashioned into the top, was kept by the family. It is currently on loan to the Household Cavalry Museum, complete with a lock of white hair in the well. But does it belong to Marengo? In April this year, The Times printed an article suggesting that the whole story of Marengo may actually have been a hoax. Gareth Glover, Treasurer of the Waterloo Association, claims in his book, Waterloo: Myth and Reality, that research by Jill Hamilton (Marengo: The Myth of Napoleon's Horse) into French records has put the whole legend in doubt. It would seem that not only is there no horse named Marengo entered in the books of the Imperial Stables, neither does his description fit any of the 1,372 which are listed. Is it possible that the favourite charger of Napoleon Bonaparte was a myth; a huge piece of nineteenth century spin doctoring?! Was he, in fact, just an invention produced by someone with an eye for the main chance, out to fleece the British public, as indeed purveyors of ‘relics’ have done since the Middle Ages? Were all the artists who painted his portrait conned by this almighty scam? Can we really suspend disbelief long enough to consider the likelihood of such a scheme? If true, it is the most astonishing piece of deceit, for how could it possibly have not been exposed as such at the time? The question also has to be asked, why was – if, indeed, he was – Napoleon so insistent that Jacques-Louis David paint an exact likeness of his favourite horse in his portrait, which dates from the turn of that century? Another consideration also springs to mind… since Napoleon rode mainly grey and cream Arab horses, how can anyone be sure, now, that their descriptions did not match that of Marengo? Nowadays, DNA testing and diagrammatical marking of a horse’s ‘whorls’ – swirls of hair as individual as fingerprints – can easily verify identity. From a simple, written description, it would be far less conclusive. It is, after all, always possible that Marengo was listed under a stable name or other identification… or were records of the Emperor’s personal horses kept separately from those of the Imperial Stables… or indeed, have those records at some time been altered? It is interesting there would appear to be little reverence of Marengo in France, unlike Copenhagen in Britain. Unless a DNA test can be done on the skeleton and bloodlines traced back to the El Naseri stud, or some unquestioned documents exist which tell the true story, it is doubtful we shall ever know for certain. The media may well continue to debate whether the skeleton belongs to Ali or Jaffa or any other of Napoleon’s horses; whether it was merely a light cavalry horse or any old Arab stallion, but in the absence of real evidence, I prefer to believe that after all his great service, Marengo enjoyed a long and peaceful life at stud. While it is of great personal relief that the Duke of Wellington ‘could not remember’ where Copenhagen was buried and therefore his grave lies undisturbed, it seems to me his opposite number should be reviewed in his display case with respect and remembered in honour as a great equine hero. 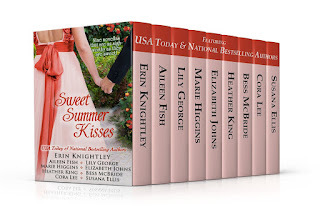 Nine novellas which are as sigh-worthy as they are sweet! Fed by a small river, which on this warm June day was flowing sluggishly through the park, the lake lay in a natural hollow in the landscape, a sheet of sparkling silver amidst folds of blue-green velvet hills and diverse green swatches of tapestry trees. The backdrop was a glorious feast for the senses, but Amelia’s eye was immediately drawn – as she had no doubt had been the intention of the individual who had planned it – to the lake and the verdant holm at its heart. Like a medal pinned on a wide blue chest, with ribbons of willow and alder, it stood as proud as the soldier who was currently fifty yards ahead of her, striding towards a boat-house cunningly hidden behind a screen of box shrubbery. By the time she gained the narrow wooden jetty beside the boat-house, the doors were flung wide and the prow of a small blue rowing boat was emerging. As Alexander steered it carefully alongside the low pier, a second boat appeared with the Earl wielding the oars with an efficiency she had already come to expect. The vessel was larger than the first, was painted a vibrant shade of red and had a slender wooden pole set between the forward seat and the prow. “Indeed and that is speedy work, my lord, to have cast off two ships in so short a time!” she said, winking at Edmund, who giggled. “That is one of my shirts, I suppose,” he answered with a fatalistic air. “Given the state of it, I should doubt your lordship would care to wear it,” she quipped. Taking a firm grasp of the pole, she gathered her skirts in her other hand and climbed into the craft, where she made short work of tying the shirt to the ‘mast’ by its sleeves. It hung in limp disinterest of its task, there being little breeze to lift it, but Amelia was hardly concerned with that. In handling the fine linen, she had released aromas trapped in the fabric in spite of washing; a sensual mix of soap, sandalwood, wood smoke and man. All of a sudden, her mouth went dry and her heart jumped. Be still, oh foolish organ, she chided it. He is not for the likes of you; not any more. Standing beside her father as he discussed cavalry tactics with General Lord Edward Somerset, Meg had the opportunity to observe the milling crowd ‒ the flushed cheeks of the young ladies as they danced by with equally youthful, dashing officers; the happy smiles and carefree pursuit of pleasure, all as though the French were not gathering to Bonaparte’s banner with the intention of destroying them all. Although the beau monde of Brussels was partying as if the escaped Emperor were but a fly to be swatted, Meg took a more realistic view. During the crossing to the Continent, she had become acquainted with a young man, Godfrey Winterton, who was seeking his elder brother. Their father was ill, not expected to live beyond a few weeks and the boy – for he could barely own more than seventeen years – was desperate to find his sibling, the heir to the family estates, before the unthinkable occurred. Unthinkable it might be, but to Meg it was not something to be ignored, swept beneath a rug until someone fell over the ensuing lump. She was glad when the music stopped and Georgy came to claim her attention from her maudlin thoughts. In her tempestuous wake, Georgy dragged her brother, the Earl of March. 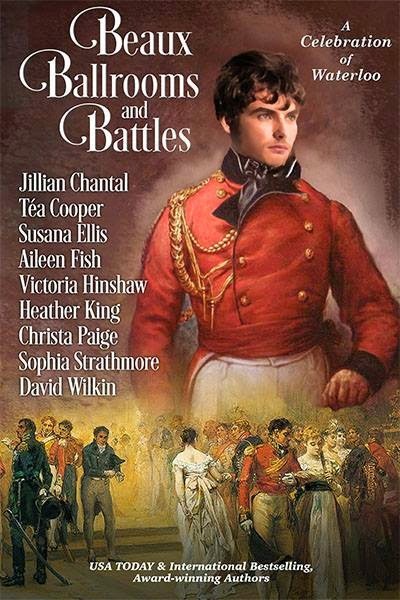 He was a handsome young man of four-and-twenty, a few years senior to both Meg and his sister. He was already Aide-de-Camp to the Prince of Orange and bidding fair to enjoy an illustrious military career. He bowed deeply as Georgy presented them and begged the honour of the next dance. A quadrille was forming and feeling her cheeks heat at the honour he did her, when there were several beauties of higher rank present whom could be said to have greater claim, Meg curtseyed. “I should be pleased, my lord.” The words had barely formed on her lips when Georgy nudged her arm. Meg followed the line of her friend’s gaze to observe a tall, leanly built officer in the blue coat and white facings of a cavalry regiment, who was leaning casually against a pillar near the French windows, which had been opened to admit the warm night air. In his hand he held his red silk embellished dress helmet, as though he had little intention of remaining. Marriage to dull ironmaster Jeremiah Knight would be awful enough, but when Eleanor Honeybourne discovers an injured man at a ball, she unwittingly uncovers a web of intrigue that puts her own and her stepfather’s lives at risk. Meeting again her childhood hero, Charles Ribblesford, she is forced into a situation which could well spell her ruin, unless they can solve the mystery and unmask the villain. Eleanor’s entry into the stable yard was nearly Charles’ undoing. She took his breath away in the bluish-purple habit his mother had chosen and he had to remind himself sharply that she was believed to be his wife in order to keep from staring at her with his tongue hanging out like a regular Johnny Raw. The habit looked as if it had been tailored specifically for her. The close-fitting jacket admirably outlined her feminine curves – of which, to his extreme discomfort, he had been only too aware that morning – and with its long tight sleeves, high collar and lapels, was cut in a masculine style which became her boyish personality. The skirt was full; the whole ensemble quite plain apart from a row of silver buttons down the front, whilst perched at a saucy angle upon her head was a small round confection with a wisp of veil and a dashing peacock’s feather. Screened by her eyelashes, the look she cast him made his stomach lurch. Had it been any other female but Ellie, he would have suspected her of flirting. She lightly tapped his arm with her riding crop. Wrinkling her nose as if in thought, an action which caused his blood – already humming from earlier – to sing a demanding refrain he had to force himself to ignore, she waited several agonizing seconds before favouring him with a mischievous smile. Hot sensations pulled deep within his abdomen. She was playing with him, the romp. Wherever had she got the idea to— His thoughts broke off in mid-sentence as she slowly touched her forefinger to her lower lip. This had to stop, now! He fixed her with what he hoped was an admonitory stare. A tinkle of female merriment met this declaration and he knew he was well and truly lost. She was a hoyden and a baggage playing at being a lady, and she was adorable. Heather King has made up stories since she was a small child. History lessons at school were rarely dull and the discovery of Georgette Heyer’s Regency novels in her early teens set her on a lifelong love of that era. 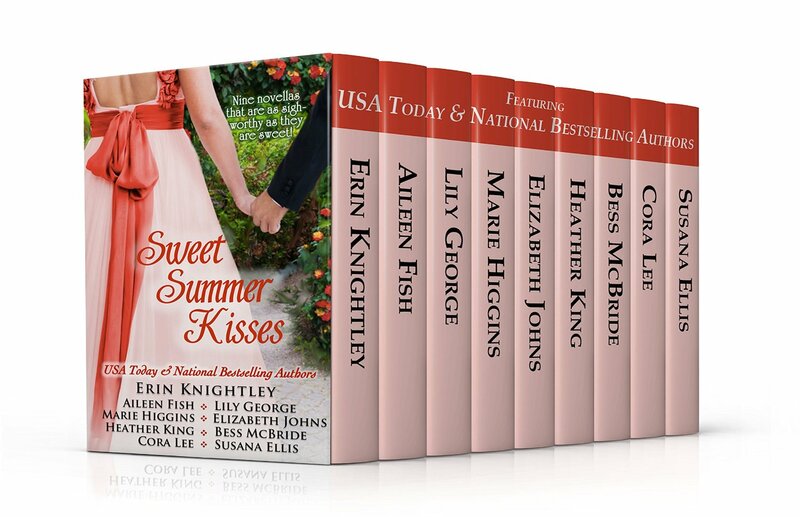 A confessed romantic and bookworm, writing gives her a chance to indulge all these passions – and call it work! 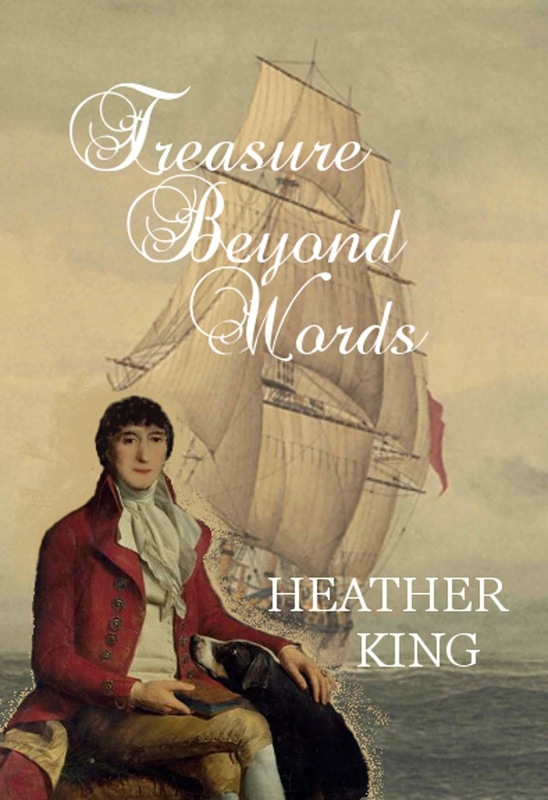 She has her own voice, but likes to follow traditional Regency precepts and pen uplifting stories with witty dialogue, engaging characters and bags of emotion. Her debut novel was 'A Sense of the Ridiculous'. Visiting her Dark Side as Vandalia Black, she writes Vampire and Paranormal romance. She is the author of 'Vampires Don’t Drink Coffee and Other Stories' which includes a novella set in the English Civil War. When not looking after her two hairy ponies, three cats and boisterous Staffie X, or frowning over keypad or notebook, she likes nothing better than to curl up with a good book. A Sense of the Ridiculous – not currently available, but will be before long. 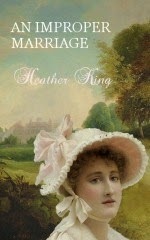 Lottie Morgan loves all things Regency, but would she like to live in the early nineteenth century, married to a baron? A strange thing happens while she is visiting Berrington Hall; she finds herself confronting George, Lord Rodney and she is a newly-wed! This collection of fourteen tales brings together irresistible heroes and memorable heroines who battle against demons, muggers, lost loves, loneliness and unholy thirst to find their true loves. Tortured and honourable vampire heroes and one lady for whom the search for her mortal love has lasted centuries, will sweep you away into a paranormal world where eternal love means exactly that. Written content of this post copyright © Heather King, 2015. I prefer to remember his happy ever after, too! HEA's are the only way! Oh, now that's an interesting theory!